Assistant Secretary of State Roberta Jacobson met Thursday in Washington with the director of the North American department of the Cuban Foreign Ministry, Josefina Vidal, according to the news agency Agence France-Presse. The U.S. State Department confirmed the meeting. The two governments have already expressed their interest in normalizing relations through a gradual process, although no concrete steps have been seen so far. A spokesman for the U.S. State Department told the AFP that the meeting took place in the morning but that neither party revealed details. The United States and Cuba maintain regular contacts at a technical level to discuss specific issues, such as immigration guidelines and postal activities, but those are not comparable to Vidal’s visit to Washington, which constitutes a high-level diplomatic dialogue. Since last November, the Cuban Interests Office in Washington has lacked banking services because the U.S. and foreign banks operating in the U.S. will not handle its financial accounts, citing the existing legislation. On several occasions, the State Department said that it was helping the Cuban delegation to find a bank that would handle its finances, but the problem remains unresolved. 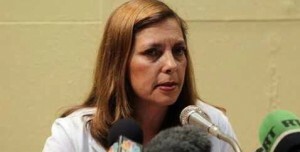 The Cuban government has reiterated its position to conduct “high-level contacts” to deal with the situation of Gross and that of three Cuban agents imprisoned in the United States for monitoring radical members of the Cuban-American community.